LivBar Organic All Natural Macro Snack Bar – Variety Pack, 12 Count – Healthy & Delicious Non GMO Gluten, Nut, Soy, and Dairy Free Protein Bar with Low Sugar. 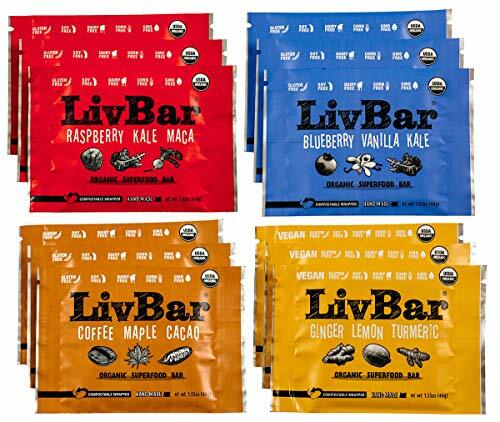 Live a Lifestyle of Healthy Eating with LivBar Superfood Nutrition Bars! 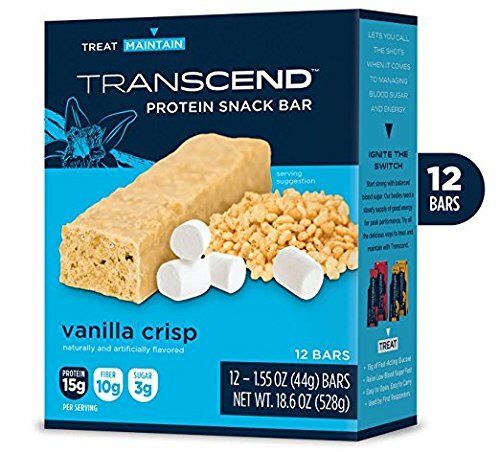 Take A Stand for your Health and Eat These Bars! It’s what your body wants.You know why?Because REAL food tastes better & makes you FEEL better!You are what you eat, so eat organic. Buy Local. Say NO to GMO and savor the %&#! out this LivBar.We made it just for you, with love from Oregon. 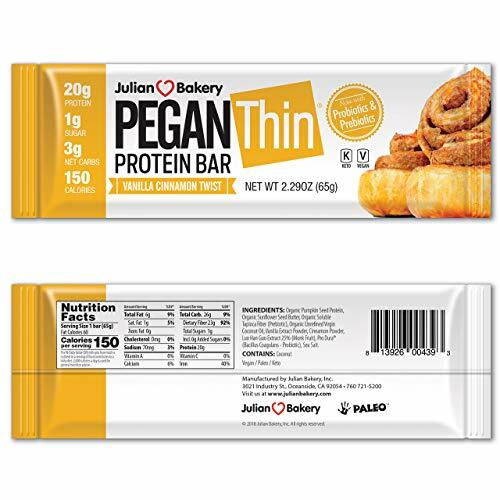 ♥︎ ♥︎ ♥︎ Each bar is packed with a nutritious blend of organic seeds and other fair-trade ingredients such as extra-virgin coconut oil, cinnamon, and sweetened with local honey.Low in sugar and high in protein. Our nutrition bars are perfect for any time of day. Corn-Free, Dairy-Free, Soy-Free, Gluten-Free, and No GMO. Our products reflect our philosophy that good living includes healthy eating. 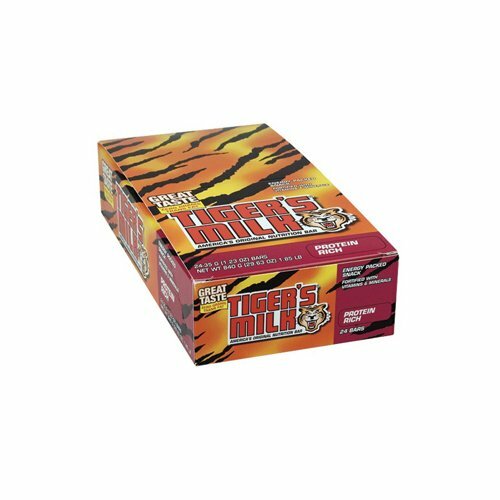 Our products contain no fillers or preservatives. Just delicious and sustaining nutrition. Awesome and Unique flavors We have flavors for everyone. Using organic superfoods such as Kale, Maca, Matcha, Blueberries, Maple, Ginger, Raw Cacao, Raspberries, and high energy pumpkin and sunflower seeds. 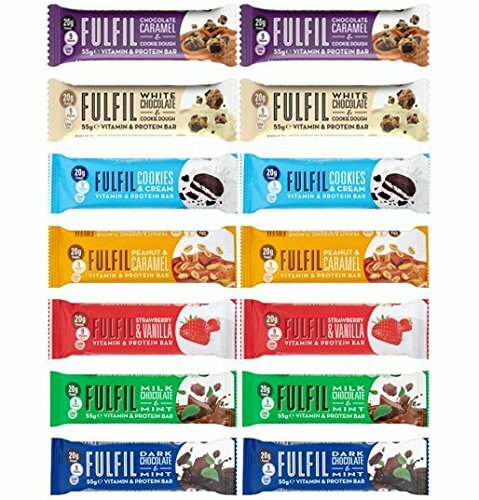 The Variety pack boxes contain 3 each of 4 flavors (12 count total): Blueberry Vanilla Kale Raspberry Kale Maca Ginger Lemon Turmeric Coffee Maple Cacao Pick up a box or two today and see what you’ve been missing.->Click Add to Cart Now! Allergy Friendly – All LivBars are USDA Certified Organic, plant based energy bars, therefore, always Non-GMO and free of gluten, dairy, soy, corn and nuts! Eco-Friendly – All LivBars are wrapped in compostable packaging! Help the environment while you eat whole, delicious real food. Fuel Your Adventure – LivBars don’t melt or freeze, perfect for any adventure! 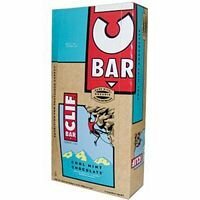 Whether you’re running, hiking, cycling or competing in a triathlon, use LivBar energy bars to keep you fueled up. LivBar – Delicious macro nutrition made for active and healthy people on-the-go who care about what they put in their body and where it comes from.